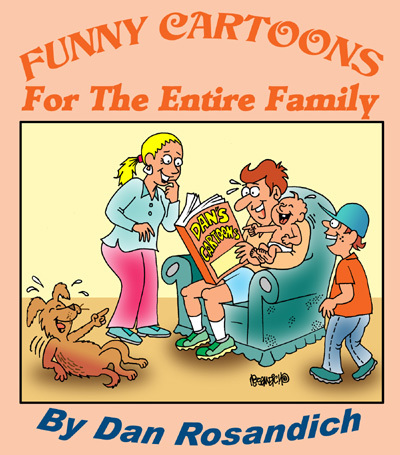 Coloring cartoons that are already available in my cartoon catalog is another feature I am offering. I wanted to re-emphasize this after getting a recent copy from a client I do cartoons for. 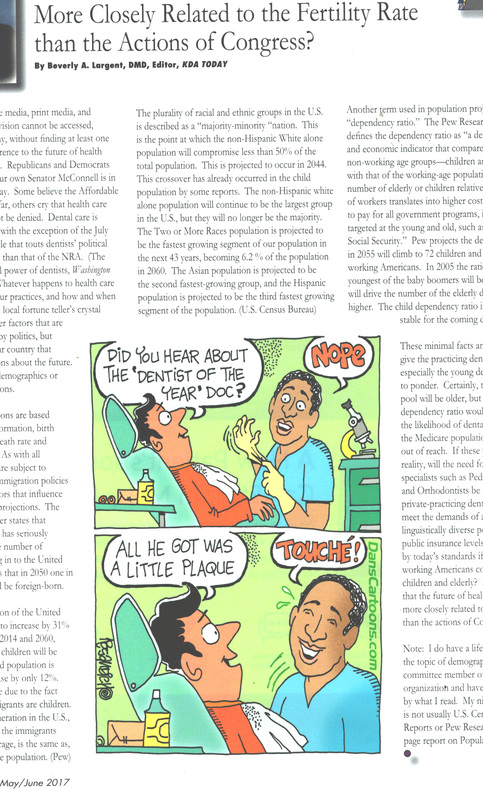 Colorized cartoons will attract readers to your articles, stories and content, and is a great way to add some visual “eye candy” to your format. I’m providing the tear sheet from a magazine that’s been a regular client of mine. The procedure is extremely simple and I’ll explain the steps through a series of brief bullet points to follow. Let’s say for instance you see a certain cartoon from any of the over sixty separate cartoon catalogs in my DansCartoons database. 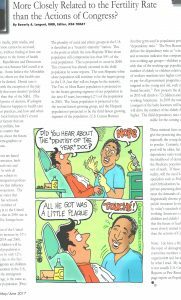 Here is the cartoon in it’s original black and white line art format in my dental cartoons catalog that will give you an idea how much more appealing a cartoon appears when colorized. A quick synopsis on choosing an existing cartoon and having it colorized . . . These steps are as simple as it can be. Easy-peasey as they say, and if you need it in multiple file formats, such as JPEG for use in your Facebook page or to send in a tweet, tell me in advance. Color added to a cartoon will increase it’s overall value and I’ll provide a quote to add color which takes extra time in order to properly give the cartoon special enhancements. Contact me using my contact form or use my business email address on that same page and ask any other questions. Thanks for considering my cartoon service.